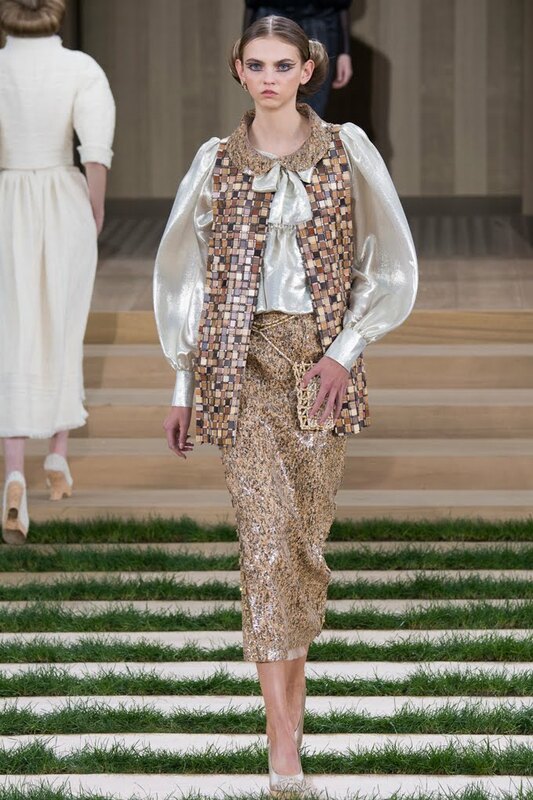 CHANEL COUTURE - LOOK OF THE DAY 1/29/2016 | Fashion Fab News - fashion, beauty, celebrities, designers . Wood chips were used as beads, recycled paper and organic woven yarn were used during the assembling process. Astillas de madera fueron utilizadas como pedreria, papel reciclado e hilos de tejido orgánico se usaron para el montaje.